Seven newcomers joined the BrandZTM Top 100 Most Valuable Global Brands this year – three telecom .. The 14 percent brand value growth of the BrandZTM Top 100 Most Valuable Global Brands 2015 exceeded .. Brand Contribution measures the strength of brand alone on earnings, without the influence of financ..
Over the past 10 years, regional growth in the number of high- value brands shifted from North Ameri..
North America accounts for half of the brands in the BrandZTM Top 100 Most Valuable Global Brands ra..
After North America, Asia is the most represented region in the BrandZTM Top 100 Most Valuable Globa.. The category composition and brand valuations of the Latin America Top 5 reflect both the economic g..
Continental Europe accounts for about one-fifth (19 percent) of the brands in the Global Top 100, an.. The Brand Value of the UK Top 10 brands declined over 4 percent compared with a rise of 14 percent o.. The bubble of rising consumer expectations expanded rapidly during the past 10 years – until it bu..
A wide variety of brands exist in Russia, including: strong strategically important brands, some int..
There’s no mistaking the swelling tide of attention to, and interest in, corporate sustainability ..
Part One: Overview of SocialZ Verve For the second year running, the SocialZ Verve rankings report i.. Traditional brands with start-up mentality gain cultural traction Entrepreneurship and “start-up m..
Consumers expect style, value and experience Apparel category brand value flattened in the 2015 Br..
CATEGORY DEFINITION The car category includes mass market and luxury cars but excludes trucks. Each ..
CATEGORY DEFINITION The luxury category includes brands that design, craft and market high-end cloth..
CATEGORY DEFINITION: The personal care category includes brands in health and wellness, beauty, an..
CATEGORY DEFINITION: The retail category includes physical and digital distribution channels in gro..
It’s about connecting with the individual beyond the data The word personalization in the world o..
CATEGORY DEFINITION: The beer category includes global and regional brands, which in an increasingl..
CATEGORY DEFINITION: The fast food category includes Quick Service Restaurants (QSR) and casual din..
CATEGORY DEFINITION: The soft drink category includes these non- alcoholic ready-to-drink beverages.. Brand is the crucial link If businesses don’t learn faster than their external environment chang..
CATEGORY DEFINITION: The bank category, which includes both retail and investment institutions, is ..
Focus on building relationships and trust The BrandZTM Regional Banks Top 10 increased 1 perc..
CATEGORY DEFINITION: The insurance category includes brands in both the business-to- consumer: life.. Whether brutal or disarming, honesty helps restore brand trust In my younger days somebody I knew w.. DEFINITION: The oil and gas category includes both private International Oil Companies (IOCs) and st.. It threatens stability but also drives innovation Will 2015 be the year when the economic disrup.. DEFINITION: The technology category includes business-to-consumer and business-to-business provider.. DEFINITION: The telecom provider category includes brands that primarily develop, maintain and mark..
New data features drive car-purchasing decisions The connected car is arriving fast, no doubt beca..
Introduction The brands that appear in this report are the most valuable in the world. They were s.. The BrandZTM brand valuation contact details The brand valuations in the BrandZTM Top 100 Most Val.. These individuals from WPP companies provided additional thought leadership, research, analysis and .. These companies contributed knowledge, expertise and perspective to the report .. The Brand Value of the BrandZTM Top 100 Most Valuable Global Brands rose robustly over the past deca..
Top 10 brand flux reflects impact of dynamic market Between 2006, the year WPP launched the BrandZTM..
Five of the 10 Top Riser brands come from technology or telecom providers categories. These are high.. 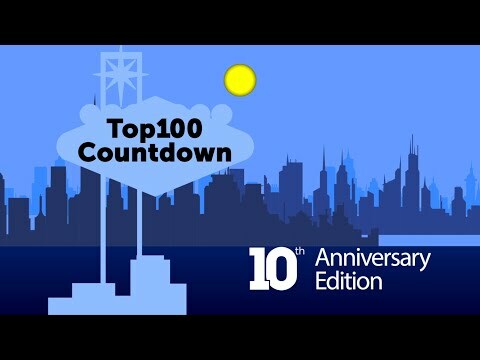 Led by fast food and technology, all but two of the 14 product categories in the BrandZTM Top 100 Mo.. The brand composition of the BrandZ Top 100 Most Valuable Global Brands has remained substantially .. Brand Difference drives Brand Value In a world of so much product sameness, being different makes a .. Brand Power proved crucial during the past 10 years. The decade divided roughly into two halves, bef..
Having a clear brand purpose accelerates the growth of brand equity, the factor that predisposes a c.. Perfect the proposition, then communicate it Two things are critical for building and sustaining va..
Branding leads advertising as driver of Brand Value Holistic multi-agency approach most efficie..
Trend-setting brands viewed as Different Consumers see innovative brands – brands that set trends ..
Brands can’t survive on love alone. But love has a multiplier effect. Brands that are loved by co..
Balance ensures long-term success Love and innovation go together like a horse and carriage. They s.. Repaired trust adds brand power, value Consumers may try a brand once or twice but they won’t stay.. The brands that comprise the BrandZTM Top 100 Most Valuable Global Brands are by definition the most.. Brand value in China up 10-fold in 10 years North America, home to the BrandZTM Top 10 Most Valuable.. Being meaningfully different can command a premium But many salient brands miss miss this major o.. Greater choice will make brands more important But many factors will make choosing more comp..
Millennial values and attitudes impact and shape all categories APPAREL Millennials expect selecti..
Purpose will guide successful brands and help inspire workforce excellence Functional and emotional .. Brand building dilemma: Salience, scale continue to drive volume But new marketing tools focus on ni..
Fragmentation: Uncertainty and opportunity for marketers The digital innovation imperative The s..
Digital will soon comprise half of media spending Connected and fragmented landscape will challenge ..
Environmental, demographic, social forces are transforming the world Brands must prepare today to re.. Car dealerships offer case study for remaining relevant To excite customers requires more engaging b..
Across categories brands say they’re in technology Judge what they deliver, not what they claim .. Brand value rises steadily despite a disruptive decade Report examines future value growth in a n.. Brand valuation and insights critical for success in a changing marketplace They drive sales, grow..
Download BrandZ™ Top 100 Most Valuable Global Brands 2015 ..
Presenting a locally relevant face to global brands is essential to success The allure of Indonesi.. Analysis of the BrandZTM Top 20 Risers reveals three drivers of brand value growth: the influence of..
Disruptions and opportunities that shaped a turbulent year Disruption Changing societal trends tou..
Watch the BrandZ™ Top 100 Most Valuable Global Brands 2015 Webinar ..